So far not bad. I heard more of her speech last night and had to go through several media accounts until I found one which included a reference one of the best lines: “Before I go any further, if you look under your chairs, you’ll find a simple non-disclosure agreement. My attorneys drew it up.” As I said, she showed self-awareness. As is typical for Clinton, she also refused to take questions, but Dan Baltz, who won this year’s award, did offer to yield some of his time if Clinton would take some questions. She did not accept the offer. This was a far better appearance for Clinton than her book tour or her press conference after the email scandal broke. It is questionable whether this will really repair her problems with the press. Joking around with the press hardly makes up for using her private server to block Freedom of Information Act requests for information from the media. “We need more than ever smart, fair-minded journalists to challenge our assumptions, push us towards new solutions, and hold all of us accountable,” she reportedly told mainstream media reporters who notoriously protect Democrats like Clinton. 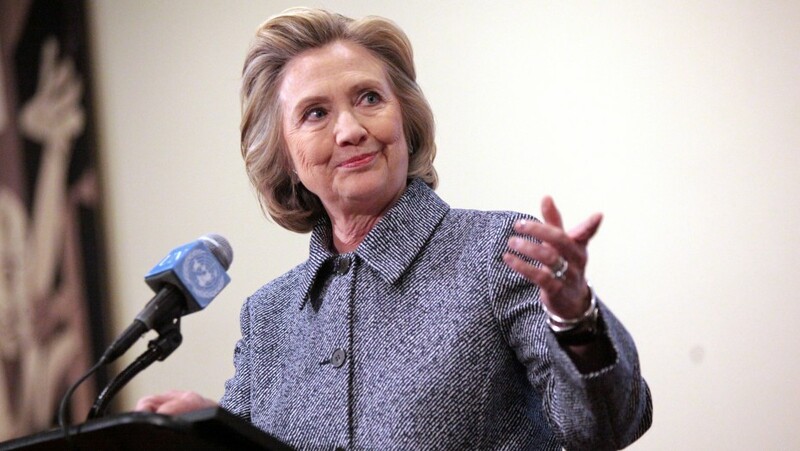 I don’t think Clinton believed she was receiving any protection from the mainstream media when she received well-deserved criticism in the past month because of the email scandal from mainstream media sources such as The New York Times, NPR, AP, NBC News, MSNBC, and The Guardian. Plus there was the Boston Globe pushing for Elizabeth Warren to run against her, and far more scathing criticism from many liberal publications.